Details yet to come but don’t expect it to be very different from other Core-M tablets. 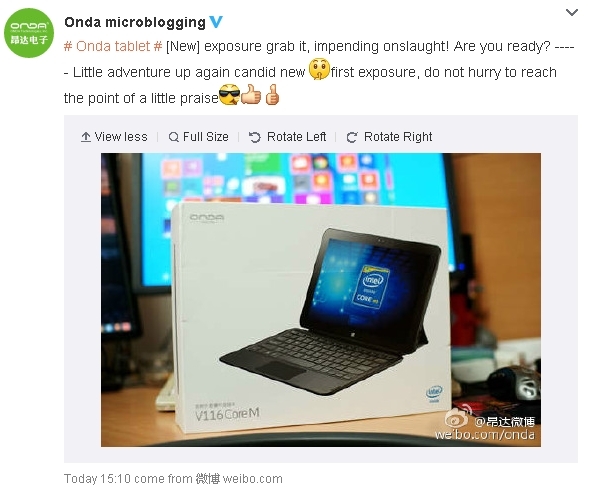 Frustratingly and confusingly, Onda has given this a “V116” designation — which will confuse it with the prior V116W tablet. 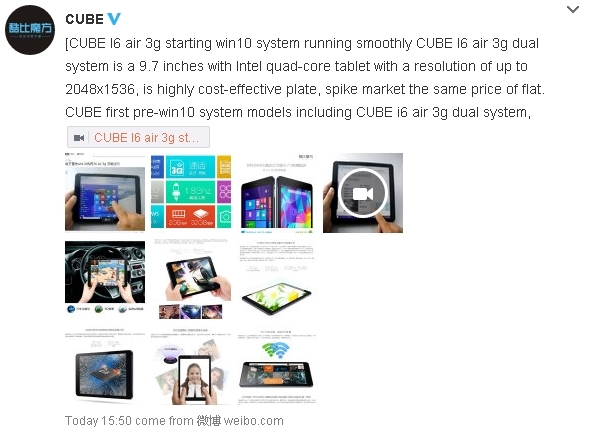 Not to be outdone by Teclast or Onda, CUBE has done a video showing their tablet with Windows 10. Xiaomi doesn’t ask questions on Weibo for fun. Something’s in the works. The original MiPad was announced on May 15, 2014. We’re rushing towards it being a year old. The specs still hold up but it’s being outclassed by thinner and lighter tablets. By the way, people replying to the Weibo mainly asked for 8.9, 9.7, and 10.1 inches. Biased? Please. If scourging crap like the Trio tablet is being “biased,” then I’m all for it. 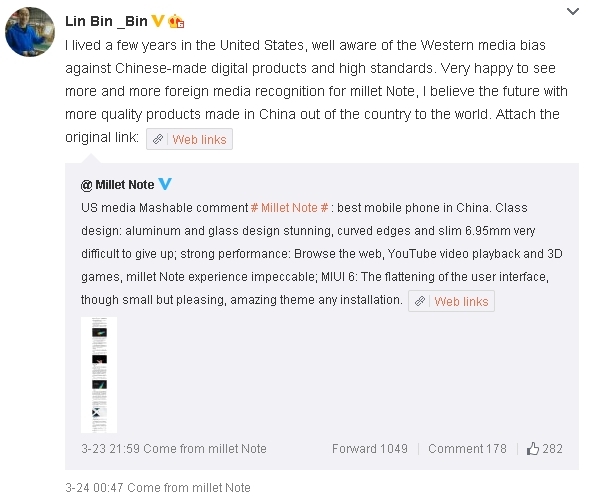 Instead of kissing-up to the lamestream — and mostly corrupt — tech media, Lin, why not try to replicate what Xiaomi accomplished in China by going directly to users and to those who have shown an interest in your products? But if you expect me or anyone else to give Xiaomi a free pass on the Balmuda design theft, you better think twice!